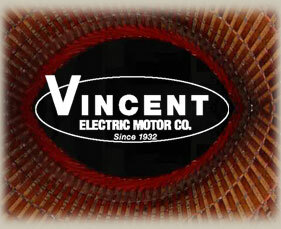 Vincent Electric Company sells new motors, drives, power transmission products, brakes and related parts and equipment at the most competitive prices. We are a manufacturer’s distributor for ABB/BALDOR-RELIANCE; NIDEC (U.S. Electric Motors); WEG Motors and Drives; LEESON/LINCOLN Motors; Emerson Power Transmission; and, DINGS Brakes and parts. We can supply your Eurodrive, GE, Nord, TECO, Toshiba, Marathon, Benshaw, Century, Fasco, A.O.Smith, Eaton, Lafert, Metric, Siemens, Danfoss, A.C. Tech and Stearns needs. We stock AC motors in most standard frames and speeds up to 200 horsepower. If we don’t have it in our stock, we have 24/7 access to our manufacture’s stock on-line and available for local and regional pick-up and delivery. Both Baldor-Reliance and Leeson/Lincoln have local Bay Area warehouses that can be accessed at any time, day or night. Unlike many of our competitors, when we sell a motor, we have the ability to supply skilled motor repair electricians on site to troubleshoot any issues that may arise on startup.